My boys are not the best when it comes to eating. My oldest son (6) is better than my little guy (2), but that is not saying a lot. Trying to get them to eat healthy, nutritious food is always a challenge. The little guy loves to eat cheese and could live off of it, but to be blunt it constipates him. There is nothing worse than hearing your little guy say he hurts to do his business. We push fiber rich foods into all of our diets with a lot of options. NHL (6) really likes most dried fruit, but JSL (2) has resisted it in the past. When I was contacted by Family Review Network to try Sunsweet Ones, I jumped at the chance to try something that my little guy may actually eat. Sunsweet has teamed up with Cheryl Forberg, the registered dietitian and nutritionist from NBC’s "The Biggest Loser" to create the following video on what a Super Fruit is and why prunes fit into this classification. 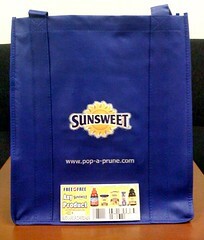 Additional information about prunes can be found at Pop-a-prune. 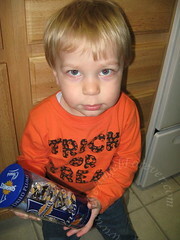 JSL was immediately drawn to the package of Sunsweet Ones. Both of the boys hovered around me asking to try what was inside. Who was I to deny them a prune if they wanted to try it?! They each quickly gobbled up their prune and asked for another. I did a double take because this had never happened before when we tried prunes. The little guy actually grabbed the container and tried to run off with them. He seriously told me that they were his. The word MINE was used frequently. Before I gave him a second prune, I grabbed my camera to capture the moment. I wanted to be able to show this to him one day in case he ever refuses to eat them again! The best part was the next day mid-morning. JSL grabbed my hand and led me into the kitchen. He pointed to the Sunsweet Ones container and asked me for a prune. I was floored and quickly gave him another snack. My little Cookie Monster was turning into a prune fan. I think his smile and request says a lot, especially when you consider he is a fussy eater. On the flip side, I love prunes and have since I was a child. One of my main problems with prunes was eating through a container fast enough or they would get hard and lose the plumb, juicy goodness. The other part I disliked was putting my hand into the container and coming out all sticky. Sunsweet Ones does away with both of these issues. 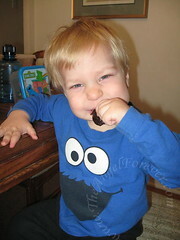 The prunes are individually wrapped so they stay fresh and your hands stay clean (unless you are a messy 2 year old). We will definitely be buying more of these in the future because they are healthy, delicious and best of all everyone enjoyed them. MAIN RULE – Answer the following question: What Sunsweet product do you think you will purchase with your VIP coupon if you win? 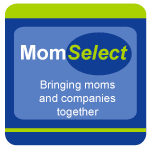 1 Bonus Entry – What is your favorite dried fruit? 1 Bonus Entry – What is something that you learned from the video (above) of Cheryl Forberg? To enter, please follow the rules above within the comment section. Contest starts today November 19th and ends at 10:59 EST on December 1, 2009. You do not have to be a blogger to enter, but must leave a valid e-mail address for me to contact you for mailing address once the giveaway is over. I will select the winner using random.org and contact you via e-mail. You will have 48 hours to claim the prize. If there is no response, another winner will be selected. Open to U.S. residents only. Disclosure: This post was written as part of a program for Family Review Network and Sunsweet Ones, who provided the product for review and giveaway. I was not compensated in any way except for the complimentary product. Ooh, I’d really like to try those out, they sound delish! But I also love dried cranberries and see they have those too! Nati loves raisins, craisins, sweetened dried dates and he’s just started eating dried apricots. I may try dried apples and pineapple. I’d try the Sunsweet Ones, to see if my kids would eat them. .-= lisa´s last blog ..Max and Ruby Dolls =-. He is too cute!!! I love the Sunsweet Ones. I would purchase the individual sealed prunes. .-= karen G´s last blog ..First Post of Freedom =-. I would purchase the Philippine Pineapples from Sunsweet. We aren’t big prune fans but we do love pineapples in any form you can get them. My favorite dried fruit is pineapple! I would definitely get the prunes – I LOVE THEM! My favorite dried fruits are dried apples, but prunes are a close second! Commented on the “It’s the Little Things” post! Learned from the video: prunes have twice the potassium of bananas! Who knew? Cheryl did. .-= Nadia @ ABC Frugality´s last blog ..Free Holiday Music Downloads =-. I would get Prunes if I were to win. My family actually loves prunes, especially those single serve wrapped up ones. Thank you for having this giveaway. 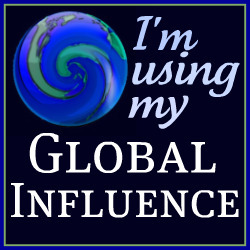 .-= Donna M. Clark´s last blog ..Winner! of 250 Custom Greeting Cards from Uprinting! =-. Absolute favorite dried fruit is dried unsweetened Papaya. Used to get it at a natural food center, but haven’t been able to find it for a while. I learned that a fruit doesn’t have to be exotic to be high in nutrients. Thanks to everyone that entered this giveaway. The comments are now closed and I will be using Random.org to select winners. E-mails will follow soon.